Though I do believe in keeping hydrated to prepare the skin for the long term, sometimes you just want to go that extra mile for perfection. And this includes my lips. I do moisturise my lips with a lip balm and I have started to drink more water (despite it being an almost impossible task), but sometimes your lips needs that extra bit of help for your lip product to glide on more smoothly and make the product look its best on your lips. 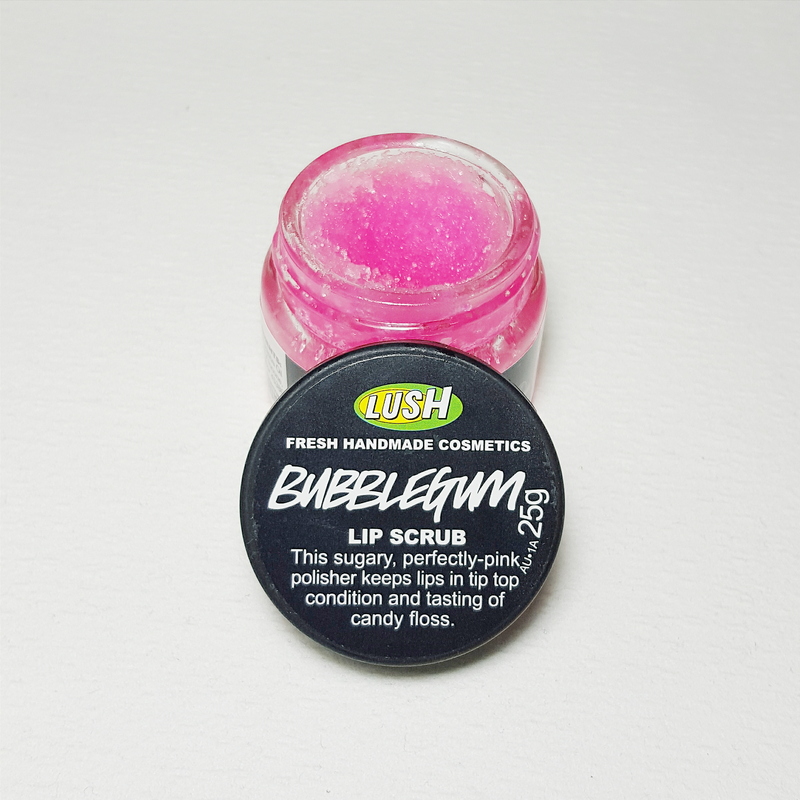 So the LUSH Cosmetics ‘Bubblegum’ Lip Scrub comes to my rescue! Lush Cosmetics is a company that prides themselves in creating products that are organic and handmade! They use little to no preservatives and only use vegetarian ingredients. They are against testing on animals, which is a humble part of their company. They have not only lip scrubs but many other face and body products such as shower gels, moisturisers, lip tints and more!